Our mission is to raise awareness and bring Hope to the hopeless by facilitating a series of associated advocacy initiatives. Moses Akash is a boy who grew up in an orphanage since he was two weeks... His parents abandoned him when he was small and his entire life was spent in an orphanage. He is currently the children’s coordinator of Little Heaven Kid Foundation and also works as the national director of Voice for Voiceless Foundation traveling around the country with his amazing story. Currently he works with over 1,400 children across the nation, supports four education centers, runs a safe house and preschool for under privilege children and also travels overseas for many other programs. He is also a member of the main team of Youth Care lavers network “Generation Never Give up”. There can never be a better Sri Lanka without Better Sri Lankan’s. 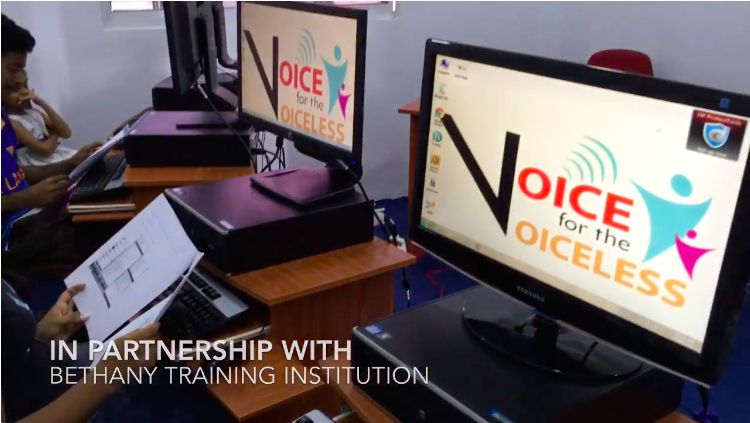 The Voice for Voiceless Foundation represents youth, women, men and senior citizens and desires to be a voice against Violence / Oppression / Injustice & Crime. The Voice Foundation is an government registered charity in Sri Lanka GA3385 and includes volunteers from the corporate sector, working together towards the key goal of eliminating violence against children. We perceive in these contemporary days our young generation heading towards chaos at a rapid rate. Various statistical reports such as labour force stats, child activity stats, suicide stats etc. presents high rates and ratios of youth unemployment, youth suicide, youth drug addictions are increasing. Consequently, numerous youngsters dropout from schools because of different reasons and our point is to engage and prepare them for a superior tomorrow. SO WE PLAN TO HAVE DIFFERENT Information technology COURSES TO SUPPORT EACH AGE CATEGORY.. from Kids , teens, youth and we will also partner with few companies in country to open job opportunities for those who complete these coursers successfully. IT coursers will be designed accordingly to each age group from basic computer knowledge to advance skills like photoshop, graphic designing etc. our aim is mainly towards the drop our kids from school and to help them find different paths in life. Taking a closer look at the present-day youth we could observe couple of points. Many of the present-day youth is highly equipped with knowledge relating to various kind of aspects. Many government and private institutions have been established in providing education relating to various subjects and matters. Statistics shows a higher percentage of qualified candidates to Universities and institutions. In general, statistics shows a high percentage of literacy among the candidates. However, irrespective of all the decent stats it is observed that there is another side to the story which can be disturbing when understood in the sense of “youth as an asset” to the nation. We see many children who are dropouts and not attending school for various reasons. Consequently, majority of the dropout children are rooted in various illegitimate and hazardous stuffs, many suicides, murders, unemployment, involved in crime activities, involved in illegal child activities and the list goes on. The same group of youth surprisingly has got involved in various activities that are a threat to themselves, the society and the nation. The below survey is extracted from the “Child Activity Survey – Sri Lanka – 2016”. According to the stats it shows an 89% of children not attending school or as we call them dropouts. In other words, these children is currently not attending any school but had previously attended school. For your generous donation I will send you a thank you card capturing a picture of the child. For your generous donation a thank you card capturing a picture of the child.